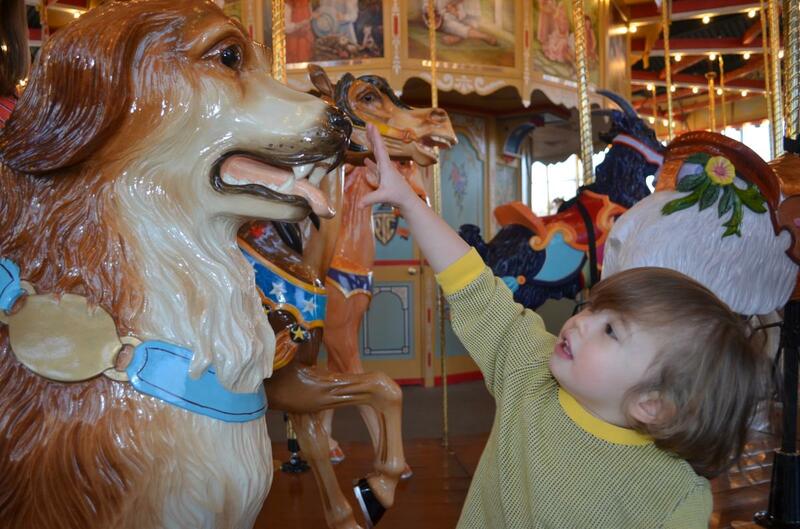 I first learned of a project to bring a carousel to Pottstown back in 1991 or so. An errand (long-forgotten now) took me down High Street, and my eye caught an intricately carved horse on display in a storefront window. It was accompanied by a donation request. The idea immediately made me nostalgic. 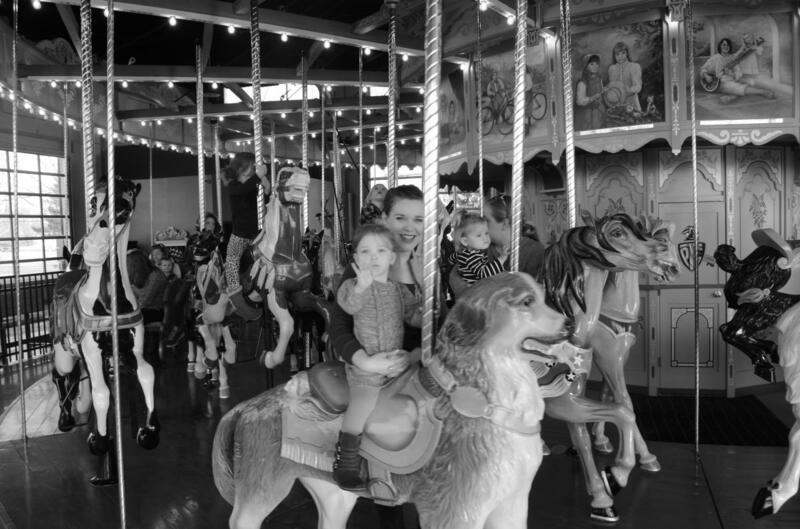 My grandparents lived not far from Hunting Park in Philadelphia, and an overnight stay with them always included a walk to the huge carousel there. 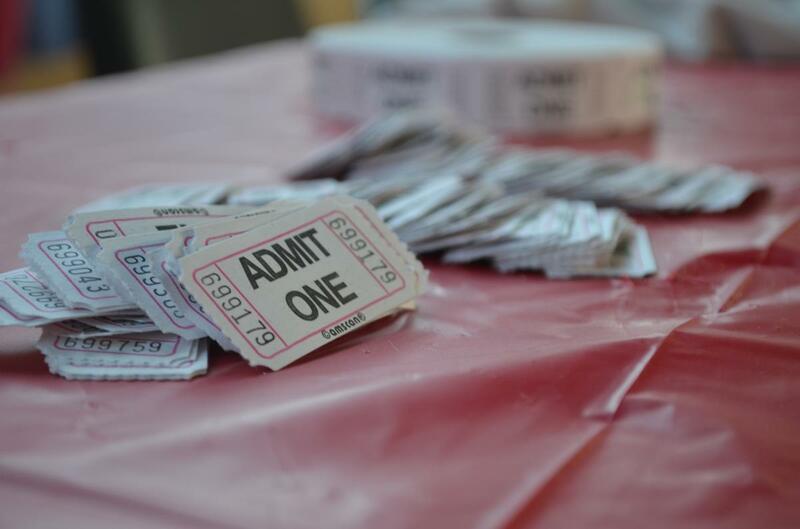 As it turns out, most of the fervent supporters of the Carousel at Pottstown – the financial supporters, the local artists, the volunteer crew – all have similar memories. 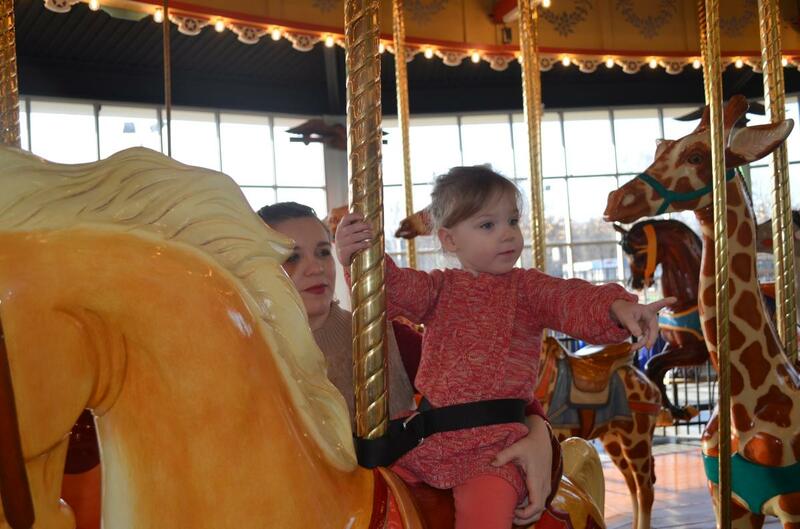 And now, the tens of thousands of hours they have devoted to the effort of restoring a vintage 1905 carousel to its former glory – all in the name of recreating a simple, childhood joy – have paid off. 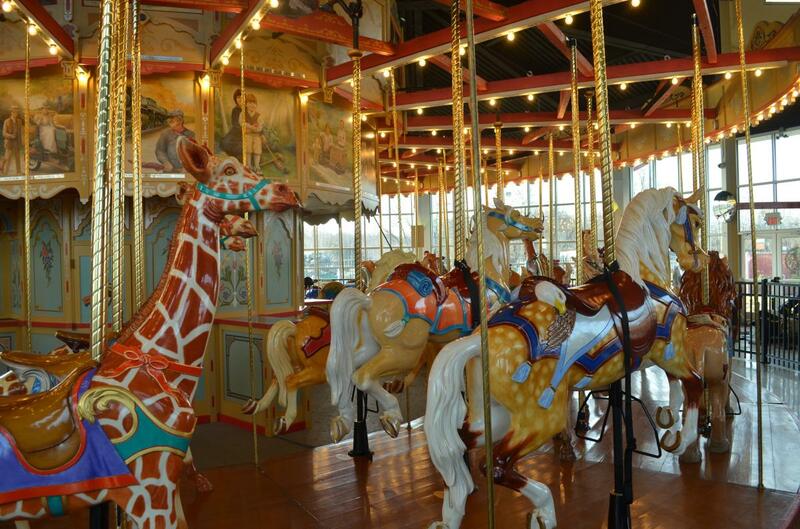 The Carousel at Pottstown is officially open. Operating hours for now are noon to 5 p.m., Saturday and Sunday, but weekdays can be reserved by groups, and evenings are open for corporate events. On April 1, concurrent with the seasonal opening of the adjacent Manatawny Green Miniature Golf Course, riders will be able to saddle up Tuesdays through Sundays. Alan MacBain is one of the painters who brought the wooden animals to life. “I painted seven of them,” he says, surveying the whirling menagerie that includes giraffes, reindeer, a lion, a tiger and a dog. “The artists all gave their animals nicknames. It was funny; we spent so much time with them, that they all developed their own personalities. People got very possessive of their figures, which is understandable, considering we spent more than 200 hours painting each one. They became like our pets,” MacBain confesses. His work includes a reindeer he named Yes, as in Yes-Deer. A palomino was nicknamed Flirt. Two other horses became Circus Girl and Baby Doll. At the onset of the painting process, the intention was to color coordinate the entire ride, but MacBain says that revisions soon took hold. “We had this master plan, and then necessity stepped in. There were some issues in how animals could be placed rather than how they were supposed to be placed. And as a result, some of our carefully laid out color schemes just didn’t happen. “But in the end, it works. It’s all colorful and it works. “The target audience, that 10 and under age group, is not going to care if the overall color palette is a little off,” he chuckles. After years of raising dollars, of meeting assembly challenges, of revving up century-old machinery, of carving and painting, of rehabbing not only the ride but the building in which it spins, the first rotation of the massive machinery was deeply emotional. Several volunteers wept at the first sight of the animals in motion. But now, it’s all smiles. “Now that we’re operating,” MacBain shares, “one of the things I really enjoy – and everybody does it – is watching people stand in line. Because as the ride goes by, they’re picking an animal. “And then, when it’s their turn, I watch them rush to it to make sure that nobody else gets it. This is kids and adults.